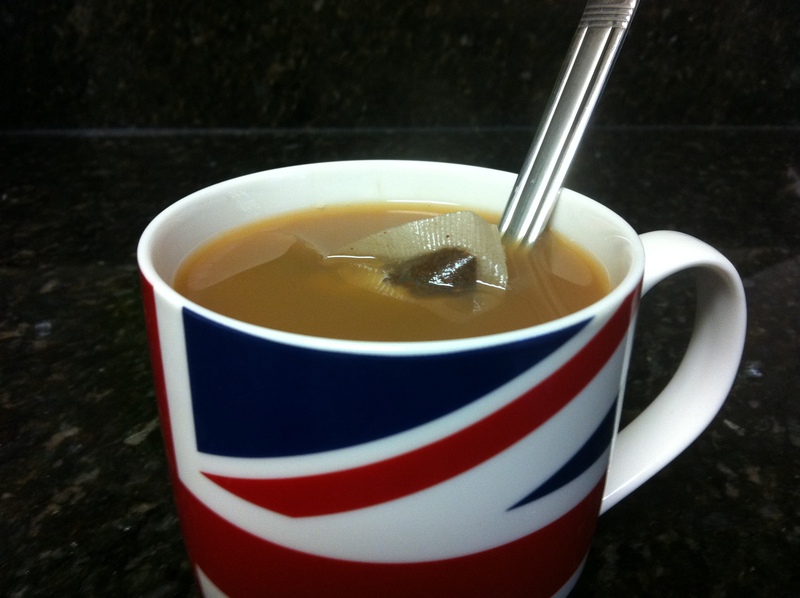 I’ve enjoyed three cups of tea (in my Union Jack mug!) in the last few hours while working on my Micro problem set. I’ll go ahead and be annoying and mention that I developed a real love for tea over in England, where they really do drink tea all the time. There’s a stereotype for a reason, chaps! Anyways, I’ve realized that aside from its deliciousness, the warm-me-up-from-the-inside feeling I get in my freezing cold house, and its apparent health benefits (see this for more info), drinking tea also regulates and encourages my study schedule! I fix myself a nice mug before starting my work. It’s a good transitional phase from whatever I was doing (in today’s case, laying in bed for hours) to hard workin’. Now that I’ve got a warm, comforting cup of my favorite drink, I’m zen and ready to get to work. As I carry on with my work, I sip slowly and diligently, enjoying my work more and more with each delicious mouthful, and then OH MY GOD THE TEA IS GONE WHAT DO I DO? Well obviously I fix more. At this point, I’ve probably been working about 30-40 minutes; it’s a great natural time for a break. I leisurely fix my next cup for 10 minutes and then get back to work. It’s like the perfect study-to-break ratio, and at the end of the break, my mind is rested — and I’ve got another cup of tea to get me through the next work session! So if it’s not for the taste, or to curb your appetite, or for the antioxidants, drink tea for your mind. I assure you – homework is much more enjoyable and finishes much more quickly when you’re sipping on tea. This entry was posted in Eating and tagged homework, study tips, tea by brennansuen. Bookmark the permalink. awesome post, I can completely relate. Making a fresh cup of tea just helps you tune in more to your homework and funny enough, gives me the motivation to do more and keep going! 😀 thanks for this!